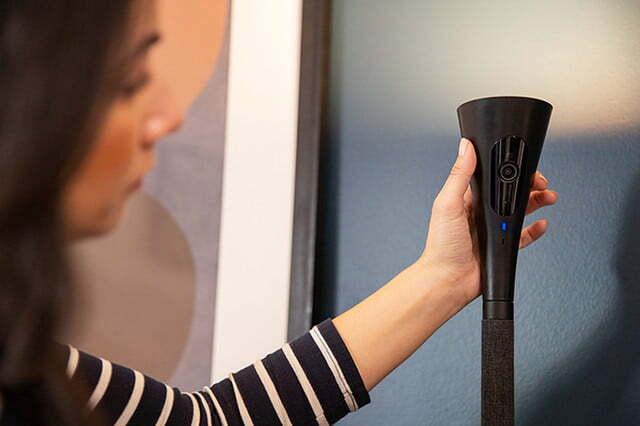 If you’re keen to monitor your home when you’re out but don’t want to have your smart security cameras on display for all to see, then Panasonic’s HomeHawk Floor lamp and camera could be just the ticket. The device incorporates a camera into the stem of the lamp, so you won’t even know it’s there. Yes, the design may send a shiver down the spine of Airbnb renters, but for homeowners looking for a way to remove sometimes ugly cameras from a living space while retaining security, the HomeHawk Floor offers a neat two-in-one solution. 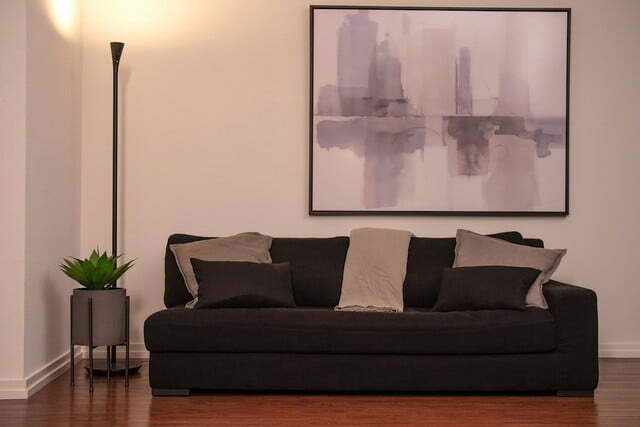 The device comes in two neutral colors and three different height options up to six feet, allowing it to be placed in corners, on shelves, or pretty much anywhere you like. The light, which offers adjustable brightness of up to 600 lumens, is at the top of the stem, with the camera positioned just below it. Its 140-degree wide-angle lens should offer full coverage of most rooms, depending on where you place it. The motion-activated camera can record in full HD — and at night using color night vision technology — and will even save footage a couple of seconds before the motion sensor is activated. While you can of course view the video remotely in real time, the system doesn’t currently support cloud storage, with footage saved instead to a MicroSD card. A microphone and speaker means you can call out to any burglars to get the hell out of your home, should your living space ever suffer an illegal intrusion, and you catch the crooks in the act. The HomeHawk Floor syncs with iOS and Android devices for real-time, day-and-night monitoring and control from mobile devices — of both the camera and the light. Panasonic also says the system is compatible with “major voice assistant services,” which presumably means mainstream offerings such as Alexa, Siri, and Google Assistant. To get started, all you do is plug the device into the mains, though you can also get 90 minutes out of it using batteries should a power outage occur. But take note. You can’t replace the lamp’s LED lights, so if they break, you’re left with a long pole with a camera built in. It’s also worth mentioning the device’s design again. We get that Panasonic wanted to do away with ugly cameras stuck to walls, but some may consider the device as little more than a spy camera. Regular home security cameras are usually easy to spot, but this one is well hidden, raising issues of privacy. If a homeowner invites a guest around, they may feel obliged to point it out; after all, how would a visitor feel if they suddenly spotted the camera without being told about it first? With this in mind, a physical lens cover would be a useful addition. If you’re still interested, then you can find out more about the HomeHawk Floor on Indiegogo. Panasonic says it’s using the platform to introduce the device and gather feedback (lens cover, anyone? ), with no funding target set. Early buyers can get it for $185 — that’s $94 off the expected launch price — with the team aiming for delivery in May 2019. If you’re new to crowdfunding and are are interested in backing projects on sites like Indiegogo and Kickstarter, be sure to take a look at our useful guidelines on how to avoid being burned.